Sometimes when you’re making changes to your computer sound card or upgrading editions of Foobar2000 you may get this playback error. The fix for this is simple and quick. 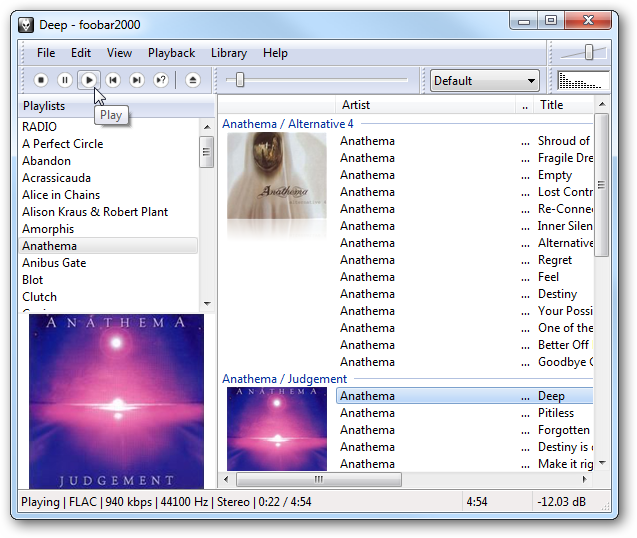 You swap out a sound card, make adjustments to it, or are upgrading to another version of Foobar2000. 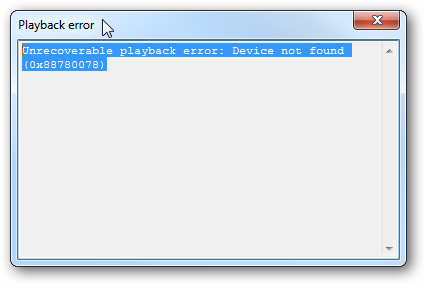 When you open it up to listen to your favorite tunes, you see the following playback error message. Open the player and to to File \ Preferences. Then expand Playback and highlight Output, and make sure the correct soundcard is selected for your Output Device. That’s it! Now you should be back in business listening to your music on one of the coolest music players out there. If that doesn’t work you may have to make sure the drivers on your soundcard are up to date. The error can also happen if you’re doing home recording and your Digital Audio Workstation is using the same soundcard or a funky plugin that doesn’t agree with it.